The VideoBabel Festival is a project with an international reach, founded in 2009 by Jorge Mora Fernández (Spain), and based in the city of Cusco, Peru. It is a project focused upon the democratization, dissemination and promotion of audiovisual and digital culture in Peru and other regions of the world. 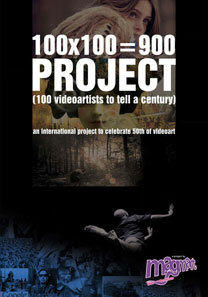 More than 500 audiovisual works from different countries have participated in the three annual events held since 2010. In 2012 the festival attracted the participation of 252 videos. A total of 9 cash prizes were awarded by an international jury to Peruvian and foreign film makers in different categories. Since 2011 the organization and coordination of the festival has been entrusted to the non-profit “Charlie Quispe & Co” Cultural Association, based in Cusco. The presentations, talks and workshops are held in the facilities of the Saint Dominic Priory – Qorikancha, which is currently the leading and most active cultural center in the city of Cusco, and which has provided its unconditional support for the festival since its inception.